All dressed in white. Hollywood & Highland Center, the home of the 90th Annual Academy Awards, could have easily doubled as a wedding venue with celebrities packing the red carpet in white and off-white pieces. 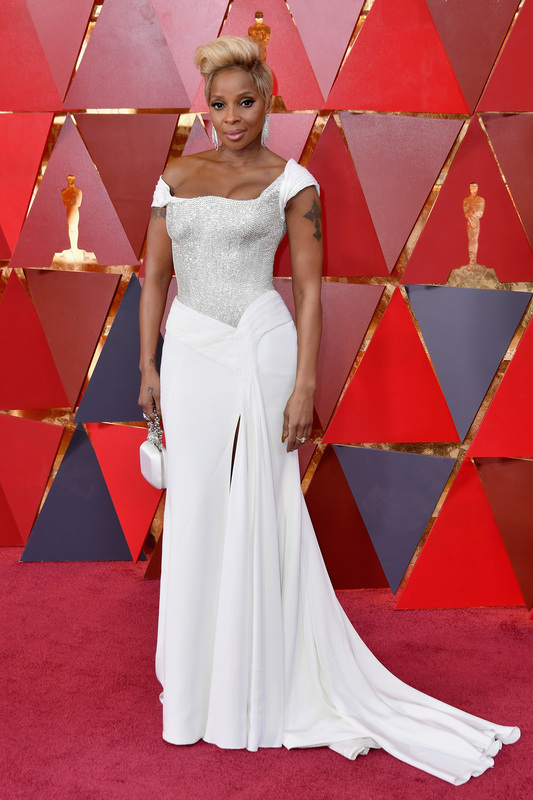 Stars like Mary J. Blige, Margot Robbie and Allison Williams chose to attend the 2018 Oscars in a range of bridal-friendly pieces, indirectly serving up style inspiration for those currently in the market for a wedding dress. While the colors and silhouettes varied—think ball gown skirts, plumage, sequins, off-the-shoulder gowns, column dresses, and more—many stars elegantly tackled the overarching airy-but-sophisticated aesthetic on Sunday, March 4. 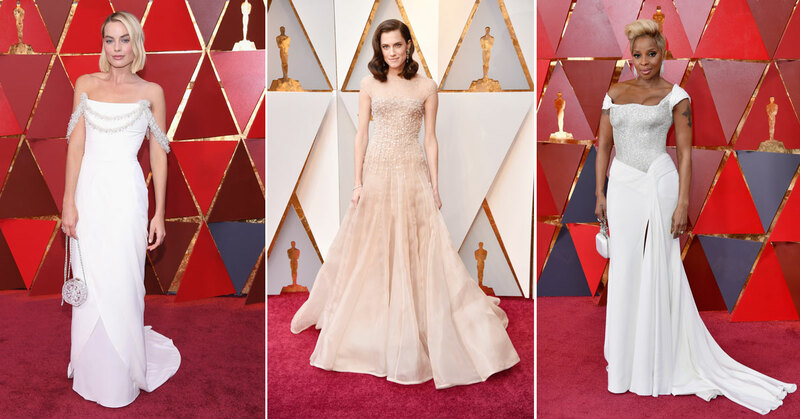 Be the first to comment on "15 Bridal-Inspired, Wedding Looks From the Oscars 2018 Red Carpet"